Describe the Setting – The polka-dot house. 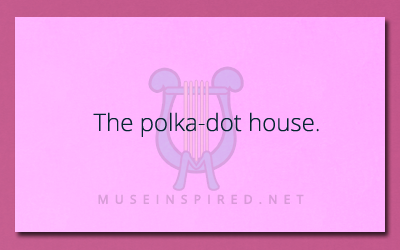 Describe the polka-dot house and all that it entails. Siring Settings - The strange ruins at the North Pole.